ASE Srl news: ASE SRL AT "THE GENERAL STATES OF WASTE IN LAZIO"
A moment of discussion on the most effective responses to the waste emergency in Rome and Lazio. A widely debate on the entire waste cycle: from collection to treatment to final disposal. 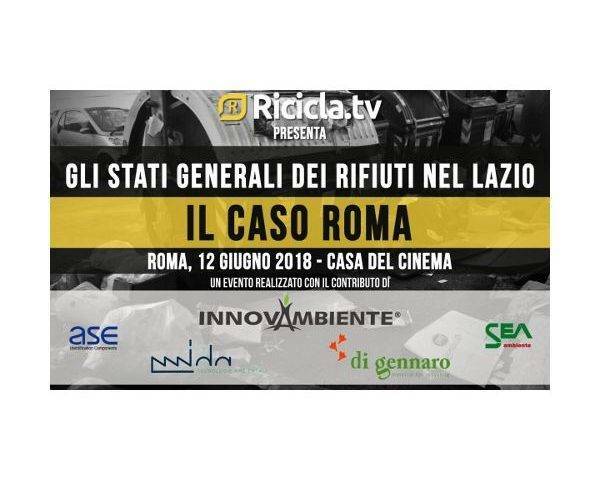 This is the panorama faced in the rooms of the “Casa Del Cinema” at Villa Borghese, by “Gli Stati Generali dei Rifiuti nel Lazio, il caso Roma“, organized by Ricicla.Tv, the first web TV dedicated to the world of waste, and the italian company ASE SRL was also among the Partners.